Coweta-Fayette EMC is committed to keeping our children safe. With the help of “safety city”, elementary students learn how to be safe around electricity at home, at play, on the road and at school. Students are shown what can happen when making the wrong choices when using electricity. 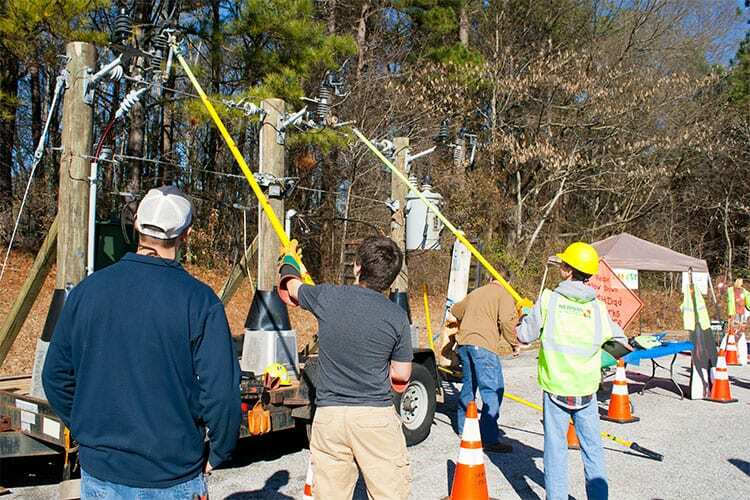 Students can also experience what it’s like to be a linemen and how they stay safe when working with electricity. By actually helping cut wire to just holding tools and safety equipment, students learn first hand the importance of electrical safety. Both of these safety programs are available for schools and community groups by calling or e-mailing the EMC.